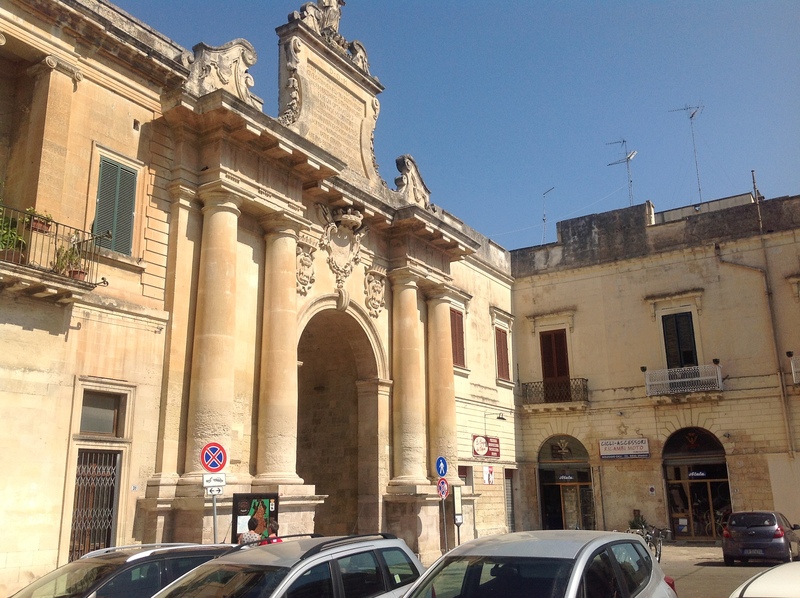 As we continued our road trip down the Adriatic coast we visited the town of Lecce. 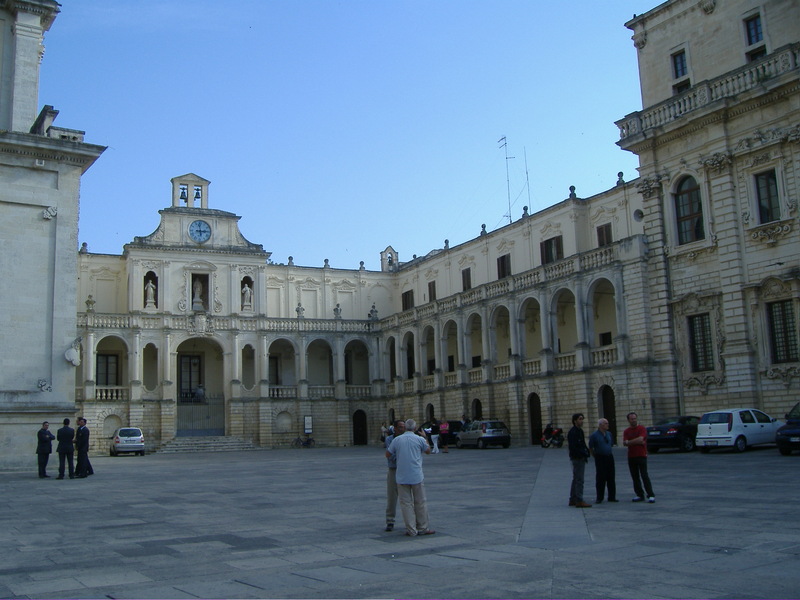 Lecce is in the heal of the boot and not far from the Adriatic Coast. You could easily spend a day or 2 here wandering around this gorgeous town. 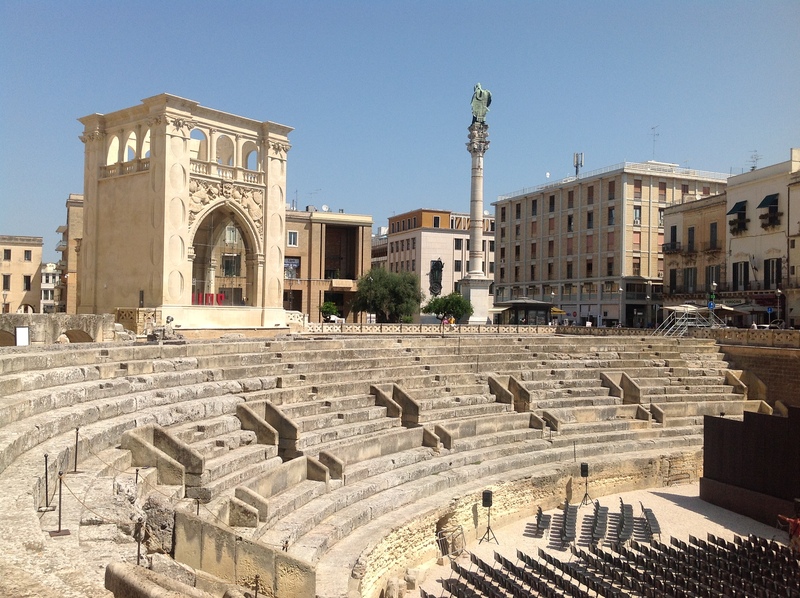 Lecce is a historic city of 95,200 inhabitants, the capital of the province of Lecce, and one of the most important cities of Puglia. 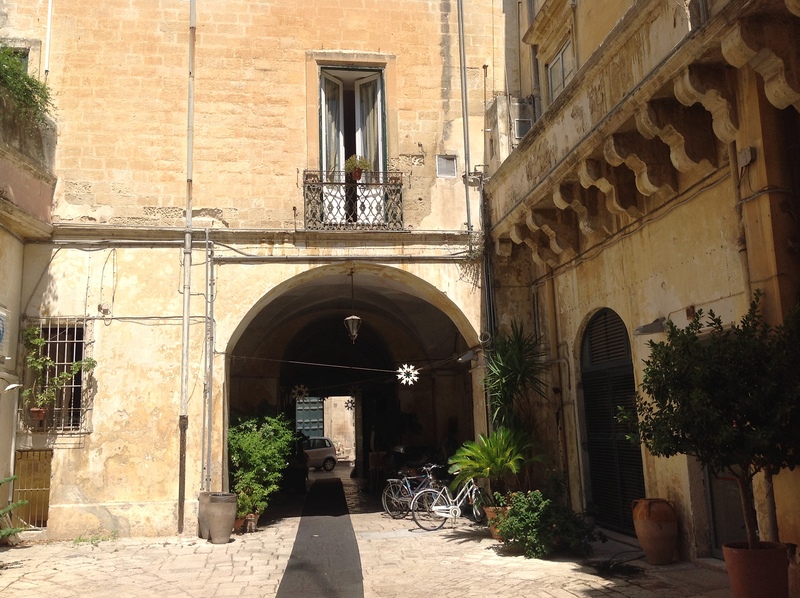 We parked the car and explored Lecce by foot. 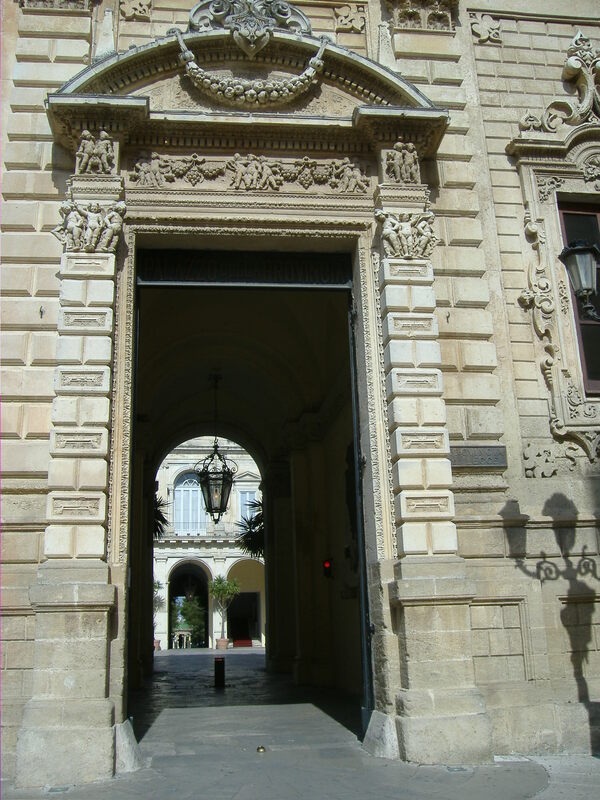 It is a beautiful and interesting city with many Baroque buildings. 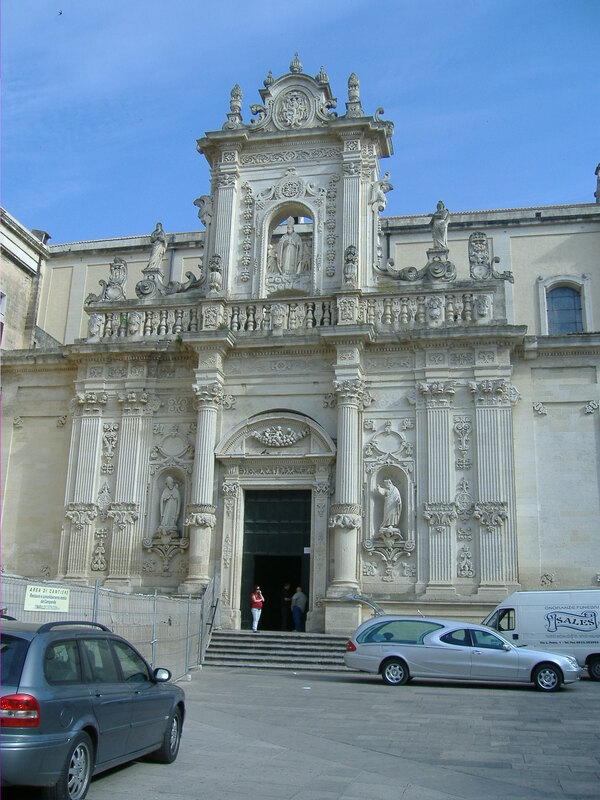 Lecce is commonly nicknamed “The Florence of the South” because of the rich baroque architectural monuments found in this city. We were so enthralled by this beautiful city that we lost track of time and when we returned to our car we had an expired parking meter ticket. After asking around and then going to the police station we found out the way to pay for this ticket, which was to pay at the local post office (unificio postale). So we lined up with the locals to pay our parking ticket which cost 25 euro. 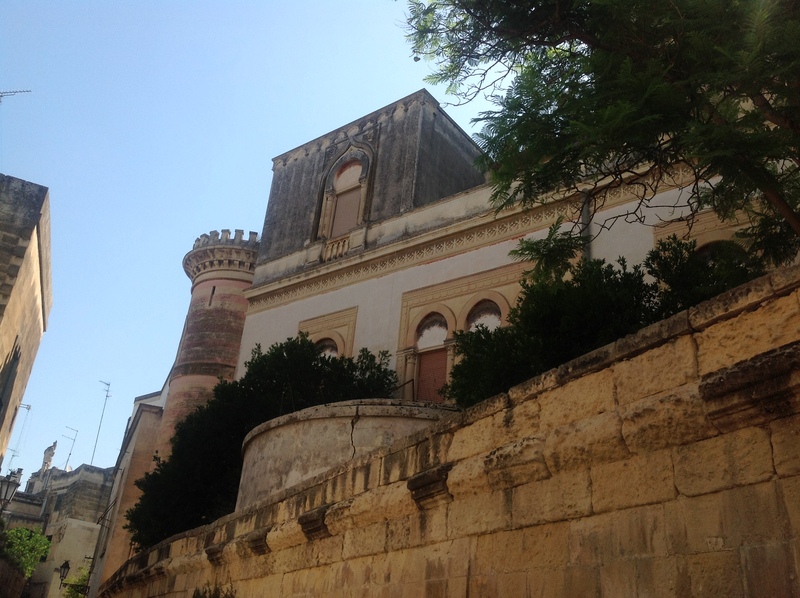 After leaving Lecce, we drove to San Foca where we stayed the night in a wonderful agriturismo. I haven’t been to Lecca…..one day. Peter loves your Blog – we are very impressed. George & Jill have booked a trip to Italy at the end of the month! Well done. Kay. 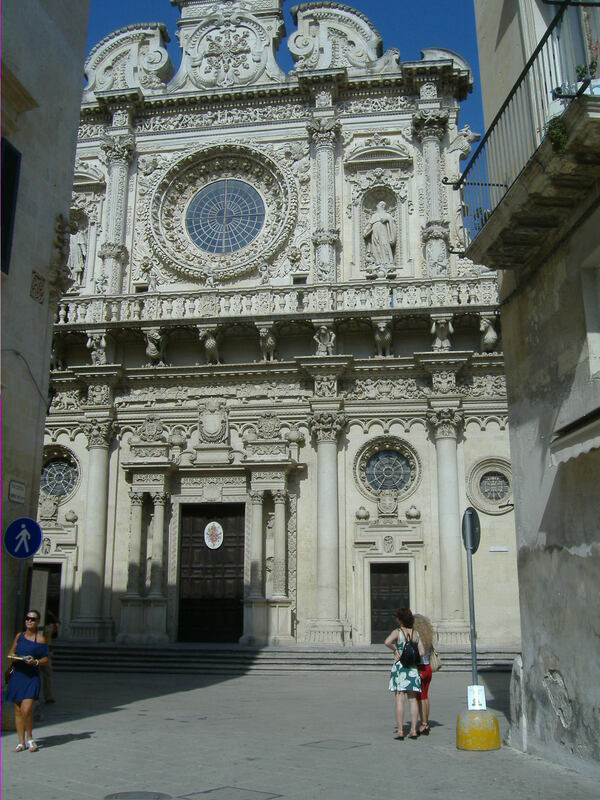 We visited Lecce in June this year, on our car trip in Puglia. Really liked it! In all fairness, I think it’s hard to compare it to Florence, which is fabulous in my opinion, buy nonetheless I enjoyed our one day stroll in this city.